This review has been printed in the November 2014 issue of Chess Life. A penultimate version of the review is reproduced here. My thanks to the good folks at Chess Life for allowing me to do so. Nunn, John. John Nunn’s Chess Course: A Complete Chess Education based on the games of World Champion Lasker. London: Gambit, 2014. ISBN 978-1906454821. 320pp. PB $24.95, currently (11/1) 18.27 on Amazon. Srokovski, Yaroslav. Chess Training for Post-Beginners: A Basic Course in Positional Understanding. Alkmaar: New in Chess, 2014. ISBN 978-9056914721. 256pp. PB $21.99, currently (11/1) 16.73 on Amazon. A master studies the board, analyzes the position, calculates, deliberates and at last makes the correct move. A grandmaster tosses a piece in the air and it lands on the proper square. There is no small kernel of truth in this bon-mot. The best players are blessed with a talent for knowing which pieces belong where. The rest of us must overcome our limitations by dint of hard work. Positional understanding – knowing which pieces belong where and why – is, to my mind, the most difficult of chess skills to develop. There are no shortage of tactics books to sharpen our tactical eye, no lack of opening tomes to help us with the first fifteen moves. How can we hone our positional sense? Two new titles aim to assist us with that task. In this review, I’ll argue that neither truly succeeds in that regard, but for very different reasons. Ukranian International Master Yaroslav Srokovski is nothing if not bold. He claims in the Preface to his new book, titled Chess Training for Post-Beginners, that “any player who studies this book intensively will improve his or her Elo rating by at least 100 Elo points.” (8) What chutzpah! I’ve heard that some Russian trainers felt that intensive study of Rubinstein’s games would yield a comparable rating boost, but this boast seems just a bit rich. Srokovski’s book, aimed at players rated 1400-2200(! ), orients itself along a broadly Steinitzian understanding (9) of positional play. Good players accumulate long-term or static advantages until the conditions for attack and victory are in hand. In each of the book’s twelve chapters, Srokovski sums up the chapter’s theme in a few paragraphs, and then uses concrete positions to illustrate the nature and use of a static advantage like the bishop pair or the exploitation of weak squares. 129 positions are analyzed in the book, and there are 54 exercises for the reader to solve. I must admit some frustration with this book. Most of the examples, on first blush, clearly illustrate the positional theme in question. The explanatory prose is adequate if sometimes scant. But I get the sense that Srokovski has engaged in a form of after-the-fact reasoning here. Careful analysis shows that more than one alleged positional brilliancy is refuted by precise tactical play. Consider, for example, the position that arises in Kosashvili-Kortchnoi from Curacao 2002 (#10 in the book). Kosashvili has just played 29.c4. Kortchnoi, burdened with the dead bishop on g6, replied 29…Qb7, but what if he had played 29…bxc4? Srokovski says in a note that play might follow (after 29…bxc4) 30.dxc4 Bc7 31.Qa4 Bb6 32.Rb1 Kh7 33.b5 “with advantage to White.” (19) This ignores at least three improvements for Black, including 30…d5! which overturns the evaluation of the line. The computer, for what it’s worth, suggests that White has only a slight advantage after the game continuation. Johannessen played 17…f5, and after 18.Bc2 he could have played 18…c4!, liberating the dark-squared bishop. After 18…c4, Srokovski analyzes 19.Qd2 Bxe3 20.fxe3 Nh5 21.exf5 Ng3+ 22.Kg1 Nxf5 and “Black is no worse.” (20) How is it that White’s “stable advantage” can evaporate over the course of two moves? Perhaps White was no better in the first place, and perhaps 17.a4 was not an exclam-move after all. Such analytical oversights or omissions are far too common in Chess Training for Post-Beginners. I began to wonder, in fact, whether Srokovski had checked analysis with a modern engine. One of the lessons taught by the computer is that concrete play trumps all. Positional weaknesses are only weak if they can be exploited, and anti-positional moves, repugnant to our human sensibilities, are often dynamically sufficient to warrant consideration. There is some evidence to suggest that Srokovski might not have done his due diligence. The website is no longer active, but I discovered via the ‘Wayback Machine’ – a service from archive.org that saves websites for posterity – that a slew of the examples in Chess Training for Post-Beginners were originally given as web lessons in the early 00s. Some of these examples reappear in the book, and nearly (if my German can be trusted) verbatim. Some of the analysis has been updated, but some has not. I have no problem with a trainer using his trusted material in writing a book, but care should be taken with older analysis in the age of the silicon beasts. Some editorial care, too, should have been applied. I noted three typos just in the first chapter. It might seem that I am down on Srokovski’s book, and in truth I think it needlessly sloppy. That’s not to say that it’s simply a bad book. Most of the examples shed light the positional themes in question, and the exercises after each chapter are useful. But the analytical flaws, combined with the editorial lapses, undercut the pedagogical value of the work. I have no such worries about John Nunn’s Chess Course. Nunn is an author who is well-versed in the world of chess engines, and his works are among the most analytically precise in print. The book is fantastic, but fantastic for whom remains a real question. Let me try to explain what I mean. The full title of Nunn’s book reads John Nunn’s Chess Course: A complete chess education based on the games of World Champion Lasker. This is a fair representation of the book’s content. Nunn aims to “cover the most important chess themes, but although the book deals with many purely technical issues, there is a strong emphasis on thought-processes and decision-making.” (6) The games of Emanuel Lasker, the Second World Champion, are the lens through which this proceeds. There has been a resurgence of interest in Lasker’s games in recent years, with authors like Dvoretsky and Soltis subjecting his games to deep analysis, and with a particular focus on their psychological features. Such interest is in no small part due to the play of Magnus Carlsen, our current (at the time of writing!) World Champion. Carlsen, like Lasker, seems to conjure wins from drawn positions and salvage draws from lost ones, and like Lasker, he has an uncanny ability to play the moves his opponent will find most unpleasant. It thus seems eminently reasonable that Nunn would turn to Lasker’s games in a book devoted to explaining “thought-processes and decision-making.” But there are some tradeoffs involved in this decision, not the least of which is the fact that there exist less than 1200 of Lasker’s games, only half of which were played in matches or tournaments. Nunn has given himself a very small garden from which to harvest instructive examples, and I think it shows in the text. The isolated queen’s pawn, or IQP, is as difficult a positional scheme to master as it is important. Nunn devotes 11 pages of his book to this theme, analyzing 4 games (Burn-Lasker, Hastings 1895; Lasker-Janowski, Hastings 1895; Lasker-Maroczy, Paris 1900; and Janowski-Lasker, St. Petersburg prelim 1914) in the process. 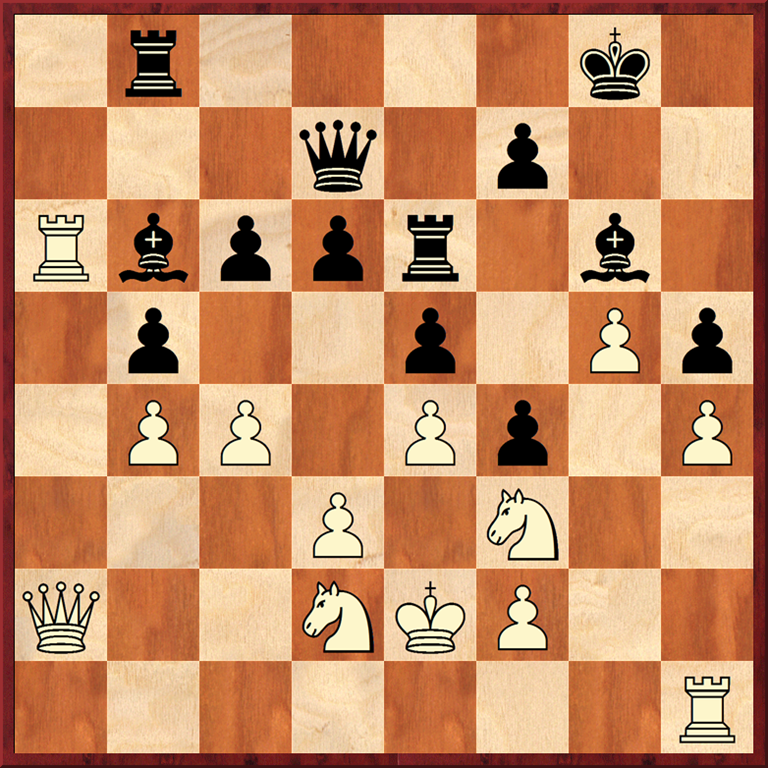 While each game involves the IQP, perhaps one (Lasker-Maroczy) can be said to be a typical IQP position. The self-imposed restriction of games forces Nunn, in my opinion, to sometimes work with imperfect exemplars. Nunn, like many contemporary chess authors, can sometimes throw too much analysis at his readers. This book is no exception. Some analysis is necessary, but too much – especially in a book that is ostensibly instructive in nature – can present a real barrier to the reader. In the Lasker-Maroczy game, for example, Nunn includes a note to move 15 (100) that runs for 54 lines of text. Some of the note is prose, but the majority is simply raw analysis, lines and lines of moves with few landmarks beyond terminal evaluations. This is not an isolated case – see move 28 of Chekhover-Lasker (146), move 19 of Tartakower-Lasker (262), and the whole of Lasker-Lasker (203-207), where Nunn’s analysis of a 33 move endgame runs for five pages. Let me be clear. I believe, especially in the age of the computer, that good chess writing must be concrete and analytically driven. But sometimes you can have too much of a good thing. While he does try to leaven his book with explanatory prose, Nunn’s analytic verbosity only serves to intimidate the improving player. And by restricting himself to just Lasker’s games, Nunn is severely hamstrung in his choice of appropriate examples. As an instructional work, I think John Nunn’s Chess Course overshoots its mark. As a collection of Lasker’s games, however, I think it truly outstanding. Lasker’s games are fun and instructive, and Nunn is a sure guide. Players rated over 2000 will get the most out of the book, while Lasker fans and readers unfazed by reams of analysis will also enjoy it. This according to Arthur Bisguier in his lovely The Art of Bisguier: Selected Games 1961-2003. (Milford: Russell Enterprises, 2008.) The quote is given on p.196. 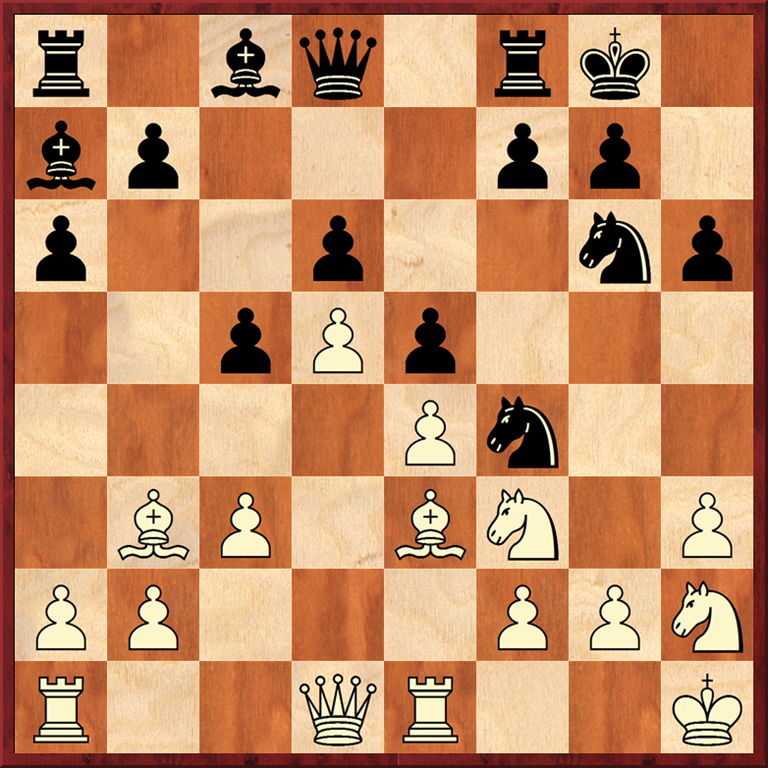 This entry was posted in Game Collections, Instructional and tagged Chess Training for Post-Beginners, John Nunn, John Nunn's Chess Course, Yaroslav Srokovski on November 1, 2014 by fullcityplus.